Vaginal Sonography, which is a base line scan. 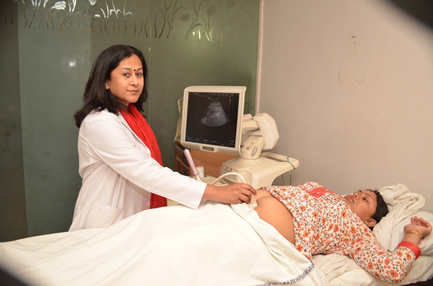 An ultrasound scan is carried out to check the ovaries and the endometrial lining. In addition, fibroids in the uterus and cysts in the ovaries can be diagnosed. When scan is done several times during ovulation phase it is called Follicular monitoring – to visualize the development of follicles (each follicle has within itself an egg) and the lining of the uterus.